For the ultimate tropical island getaway, Mauritius has it all: beautiful beaches, swaying palms, coral reefs, hospitable islanders and a diverse and fascinating culture. 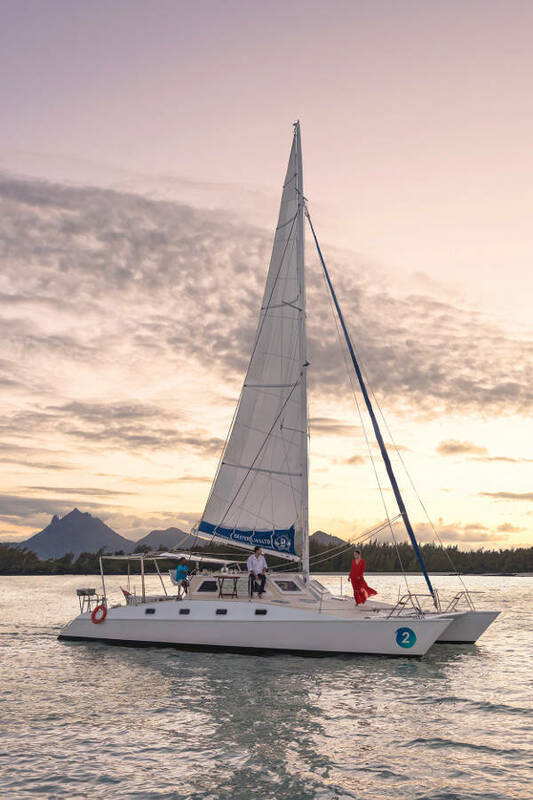 “Mauritius is about spending time at your resort sipping cocktails on the beach, spa treatments, watersports,” says John Le Riche, Travelstart. “But Mauritius has lots more to offer, there really is something for everyone.” From rum distillery tours to botanical gardens, abseiling through mountain waterfalls, pristine island nature reserves, world-class golf courses, plus Hindu temples, churches and colonial plantation houses, there’s so much to explore, if you can tear yourself away from the beach bliss of your resort, that is. With so many superb luxury resorts and hotels to choose from all around the island, perhaps the hardest decision is where to base yourself. The vibrant small town of Grand-Baie on the north-west coast with its restaurants, shops, local markets and night life, as well as beautiful swimming beach and water sports, is lively with a laid-back island feel. It’s within easy reach of Port Louis for a dash of local city life and the SSR Botanical Gardens at Pamplemousses to revel in nature. Nearby Beachcomber Trou aux Biches offers spectacular sunsets, a 2km sandy beach, spa, a plethora of water sports, and excellent golf facilities at the nearby Mont Choisy 18-hole golf course. One of the largest five-star resorts on the island, it’s also family-friendly with a kids’ club and family villas. Zilwa Attitude is a four-star rustic-chic resort 20 minutes on shallow lagoon waters east of Grand-Baie. It gives guests a taste of the real Mauritius with a range of local experiences and two small private islands, one home to its spa. For pure beach bliss and luxury the East Coast is home to some of the island’s top resorts. While it’s windier than the West Coast (the prevailing trade wind blows from the south-east), the best resorts take advantage of sheltered bays and coves, and are close to the stunning Île aux Cerfs, a popular boat-trip destination, where the Bernhard Lange championship golf course is another attraction. Shangri-La’s Le Touessrok offers refined island luxury in a tranquil tropical garden setting with a Givenchy spa and personal butler service. Its water sports centre is based a short boat ride away at Île aux Cerfs. The lagoon by the resort beach is tranquil with no motorised water sports close to shore. 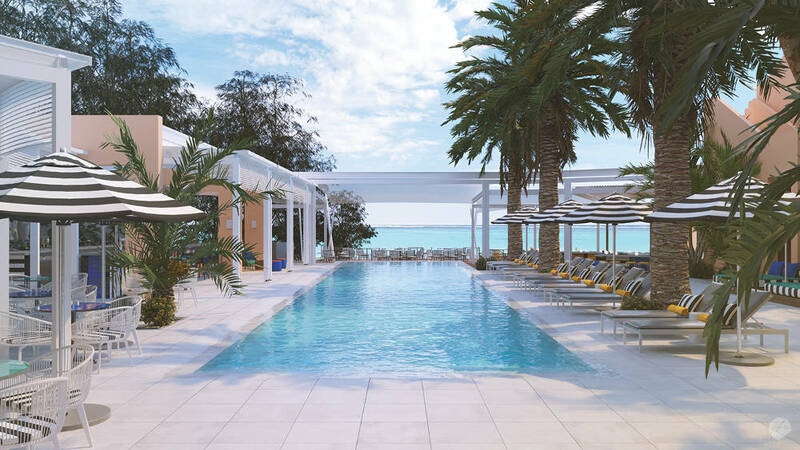 Salt of Palmar is a brand-new resort from the Lux Collective, pioneering a sustainable travel approach that connects guests with the local community with a wealth of shared experiences, and helps them explore local hidden gems as well as its beach and spa offering. 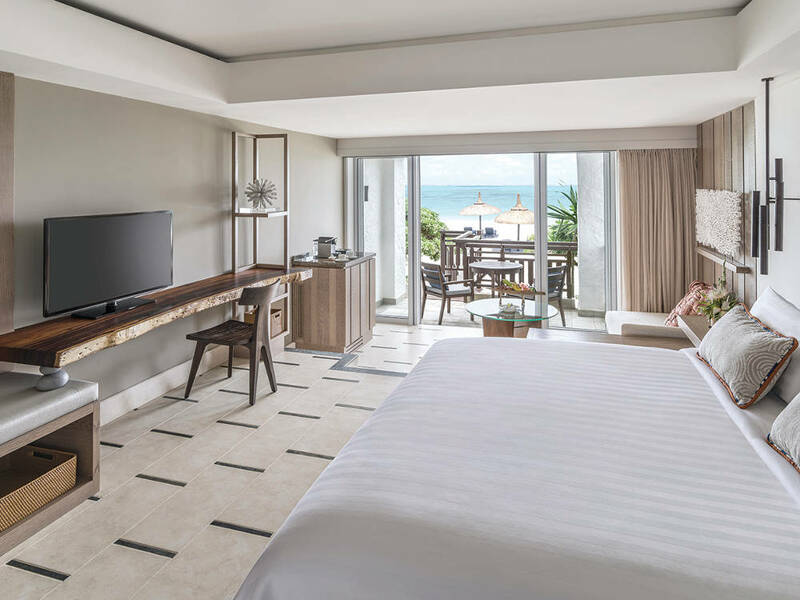 Anahita Golf and Spa Resort includes unlimited golf on an excellent Ernie Els-designed course, a full range of water sports, and shuttles to Île aux Cerfs. Its luxurious villas and residences ensure home-from-home privacy with the option of self-catering or a private chef. The South Coast is the least developed and backed by spectacular mountains and forests. Le Morne on the south-western tip is a prime spot for wind-surfing and a favourite destination for those who enjoy a quieter feel with easy access to the Black River Gorges National Park for its waterfalls, hiking, birdlife, and the Chamarel seven-coloured earth. Paradis Beachcomber Golf Resort and Spa on the Le Morne peninsula combines excellent water sports including kite-surfing, with an 18-hole golf course, and has both kids club and teens programmes. It shares the facilities of next-door sister hotel Dinarobin, also a 5-star. Heritage Le Telfair at Domaine de Bel Ombre is a sophisticated beach destination on the tranquil South Coast, ideally located for the 18-hole championship golf course designed by Peter Matkovich at Heritage Golf Club, extensive water sports and a 2km sandy beach. Being a guest at a Mauritian resort is the ultimate relaxing island getaway, where you leave the stress and rush of everyday life at the airport, and can take the time to breathe, walk along the sea shore, wallow (and snorkel) in the warm ocean and not worry about anything – other than making it to meals on time, and getting a well-positioned lounger next to the pool! Sheltered from the wind, Flic en Flac is a fishing village growing into a vibey resort town on a long sandy beach with calm waters ideal for snorkelling, diving and romantic sunsets. Nearby Tamarin Bay is known for its dolphins seen from boat cruises, and then it’s a short hop to the natural beauty of the Black River Gorges or the urban centre of Port Louis. Sugar Beach is a classic plantation-style resort on a long sandy beach looking into the sunset. This is five-star luxury with excellent kids’ clubs, varied water sports and even horse riding on the beach. Tamarina Boutique Hotel looks out over the island’s only surf beach to open Tamarin bay where dolphins can often be seen. As part of the Tamarina Golf Estate and Beach Club, the four-star hotel has free access to the 18-hole championship golf course and shuttles to Casela nature park. There are many more excellent resorts, boutique hotels and self-catering options, so start exploring for a memorable island holiday that ticks several boxes on your bucket list. 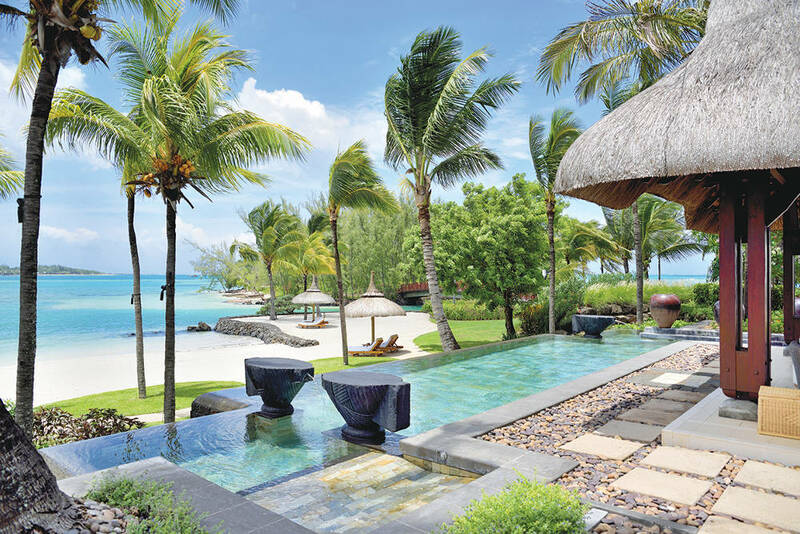 Mauritius is like stepping into a postcard for an idyllic island paradise. The beaches are breath-taking, as is the scenery on the rest of the island.